HARTFORD, Conn. – There are a lot of changes to income-tax filings this year, but there’s free help available to sort it all out. 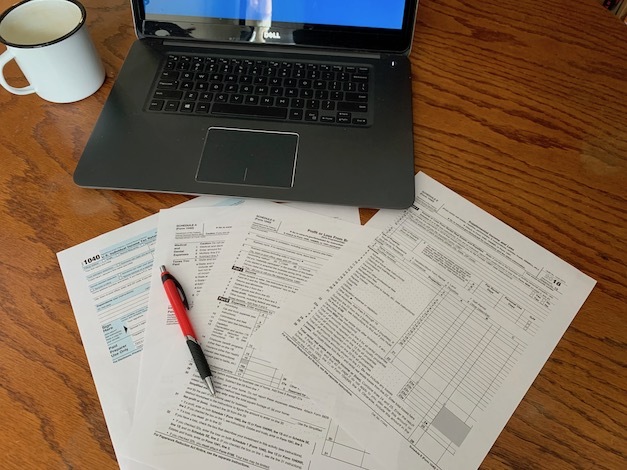 The AARP Foundation’s Tax-Aide program has IRS-certified volunteers at locations across Connecticut ready to help taxpayers get their tax returns filed. In 2018, the program helped return $22 million to taxpayers in the state, including $2.2 million in Earned Income Tax Credits. According to Linda Avery, the state coordinator for Tax-Aide in Connecticut, the program is focused on low- and moderate-income people over age 50, but is available to anyone who needs help filing. Appointments are required at most sites, so it’s important to call ahead. You can find the nearest Tax-Aide location by calling 888-AARP-NOW or visiting AARPfoundation.org/taxaide. Nationally, last year the program helped 2.5 million people navigate complicated tax codes, claim proper refunds and deductions, and file federal and state returns. And Avery noted the volunteer tax assistants are up to the task. “Our counselors spend many, many hours between the months of December and January preparing themselves, going through practice problems, workbook problems and taking the IRS certification test, which they have to do annually,” she said. She added that since the service is free, taxpayers also avoid the high fees charged by commercial tax preparation services and sales pitches for high-interest refund loans. People need to bring the relevant documents, including a copy of last year’s tax return, to their Tax-Aide appointment. Avery explained they first meet with a client facilitator to go over the intake paperwork. Since its inception in 1968, AARP Foundation Tax-Aide has grown to be the nation’s largest volunteer-run free tax preparation service.